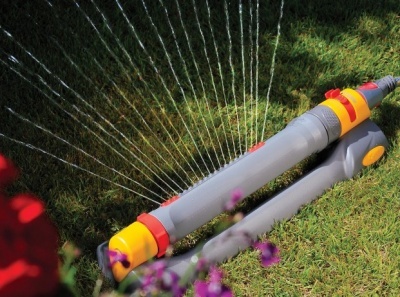 The ultimate lawn sprinkler. 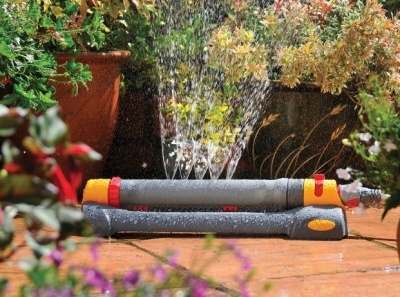 The Rectangular Sprinkler Pro has been specifically designed to give 100% even water coverage regardless of the water pressure. (1-10 bar). 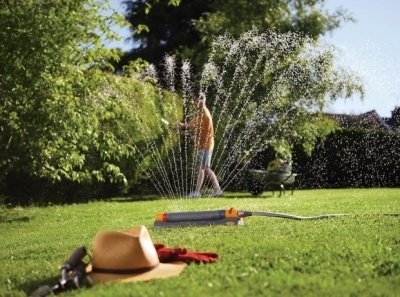 The sprinkler can water a rectangle or a part of a rectangle – adjustment is easy, simply slide the red settings. Additionally the spray pattern on this sprinkler can be made narrower by turning the red dial. This reduces the number of jets in operation. There are two spray patterns and 20 jets which gives a maximum area coverage of approximately 320m² . Perfect for lawns and established plants . Also there is a fine spray for smaller areas – perfect for watering lawn seed, seedlings, or damping down a greenhouse. 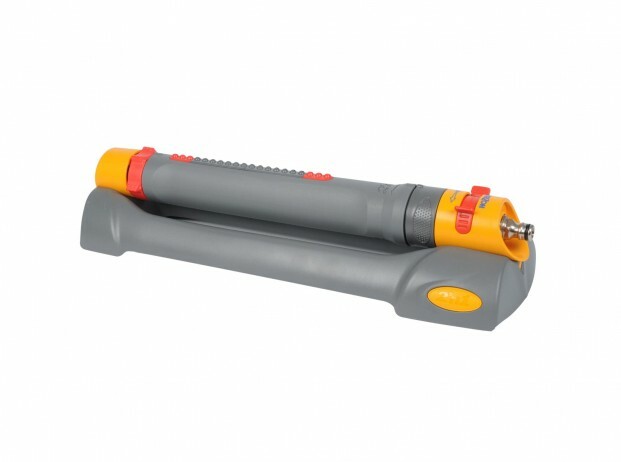 The sprinkler is mounted on a stable sled which gives stability on a lawn or a border. 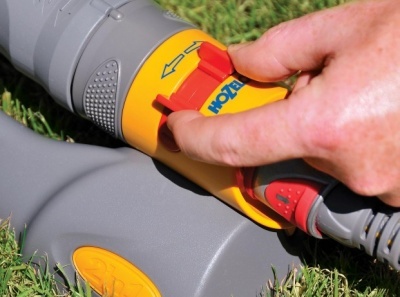 The Rectangular Sprinkler Pro features an ultra reliable, water-powered , geardrive motor that operates at all water pressures. This sprinkler comes with a 2 year guarantee.